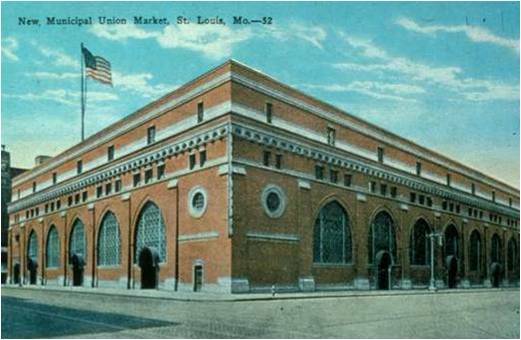 ‍The New Municipal Union Market in St. Louis, now converted into a hotel. 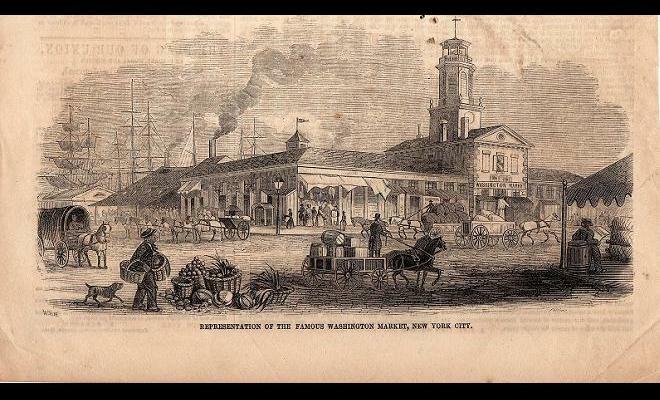 It is no secret that market halls, market sheds, and market districts were once more prevalent in American cities than they are today. Most towns, large and small, had at least one market that usually served as one of the most important, centrally located institutions in a growing city. Local economies were built around markets, which offered affordable opportunities to people who were looking to start a small business and vital lifelines connecting consumers and producers. In more recent years, hundreds of markets burned down, were demolished, were removed for “higher and better uses”, or were replaced with empty “market squares”. One of the most persistent plights of public markets is when surrounding real estate values go up to such an extent that a market can no longer afford to compete against interests with more economic heft. Street trolleys, automobiles, big developers, high rises, shopping centers, and corruption have all been part of the bigger-is-better movement that have replaced the participatory, visceral market experience as the totems of commerce and economic growth. It is a tragedy when that larger economy quashes the local, making it much more difficult for people to find their footing on the lower rungs of the economic ladder and become self-sufficient. This is precisely one of the reasons for having a government: so that business interests alone are not in control of the fate of places, the look of communities, and the life of accessible small scale economies. However, the economics of a market are not its true measure, anyway. How do you put a price on community, sense of place, or the benefits of local food systems? In no other public space is the multi-purpose extent of place so thoroughly represented. Thankfully the public loves markets, and their collective, organized sentiment can create a base of political support in order to save a market that functions as a great public space and small scale economic anchor, even if it is not the “highest and best use” on a given piece of desirable land. Public ownership and protection is essential to preserving the traditional role of the market and not selling out to the highest bidder. But in the future, markets will be increasingly threatened if left to fight a purely economic battle. We need more enlightened thinking to preserve these very special, multi-functional places and the role that they play in the long-term health of local economies. The aim of PPS' Public Market Program has been to bolster the market boom, supporting the creation and management of markets of all sizes around the world in order to reconnect local economies and communities to not only local food systems, but this vital source of community engagement. For more, read about Washington Market: Manhattan’s Lost Food Hub, The Trouble with Modernization: Lessons for Endangered Markets Everywhere, and Priorities in Port-au-Prince: Iron Market Sparks Regeneration.